If there’s anything that my husband loves more than Chicken Quesadillas it is these Skinny Chicken Enchiladas. We hadn’t been married long before I made these Skinny Chicken Enchiladas and wow, did I ever find the way to my man’s heart! The way to a man’s heart is certainly through his stomach! haha! So if you’re looking to catch a man or rekindle the romance, definetly give these Skinny Chicken Enchiladas a try. It just might be the match that start the fire – just don’t burn the kitchen down. 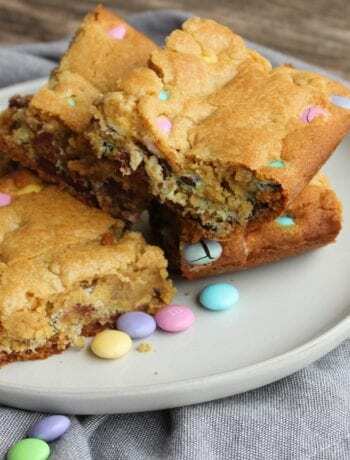 If you follow The Speedy Spatula on Instagram, you know my two year old is a picky eater. 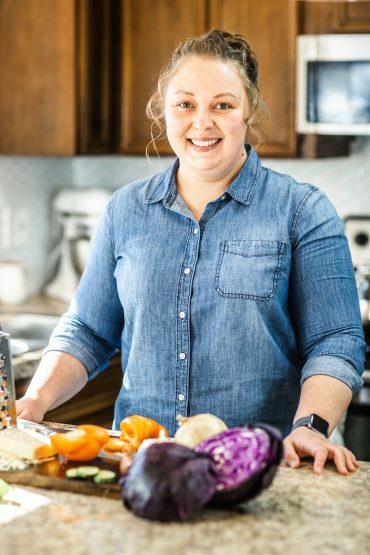 If you also have a picky eater in your house, you know it’s always a win if you can find a fast and easy recipe they enjoy. Well, these Skinny Chicken Enchiladas happen to be that meal in my house! Not only does my husband love these enchiladas, but my Little Man does as well. I use 2 cups of cooked rotisserie chicken for this recipe because it just makes the prep work so much faster. 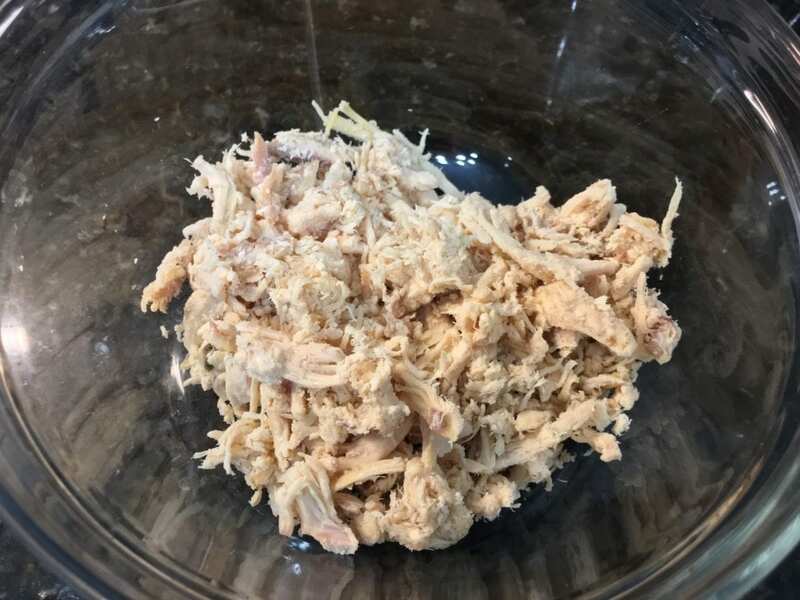 I cook my own chicken in the slow cooker to make rotisserie chicken (recipe coming soon!) 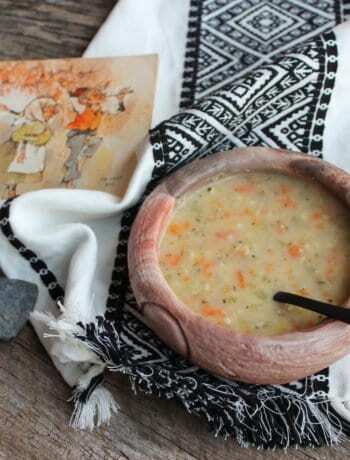 but if you prefer to boil chicken breasts or thighs for this recipe, I suggest boiling three medium sized chicken breasts or three large thighs. 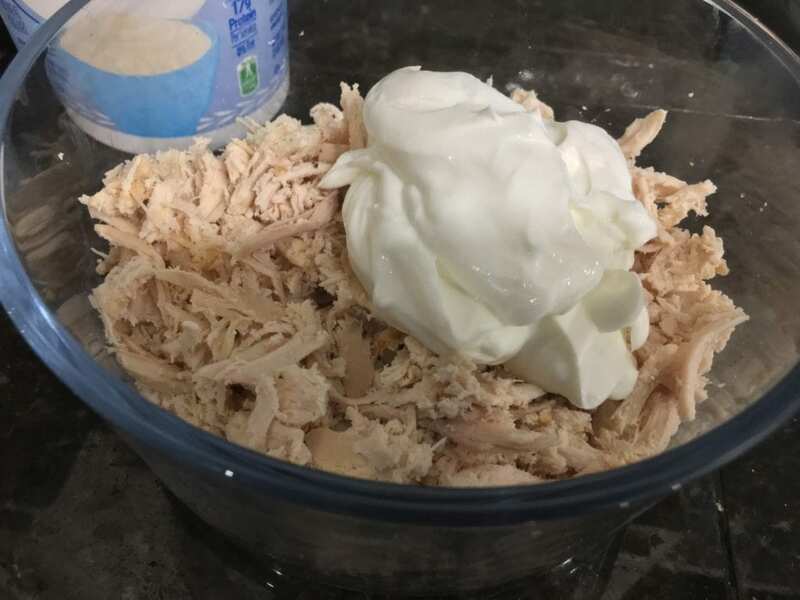 Add one cup plain, nonfat Greek yogurt to the shredded chicken. Now it’s time to add the magic elixir, the Mild Taco Bell Sauce. 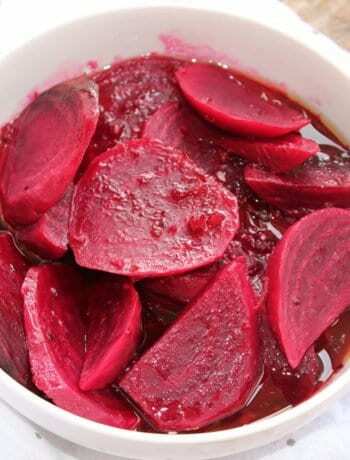 I add in the entire, small jar. 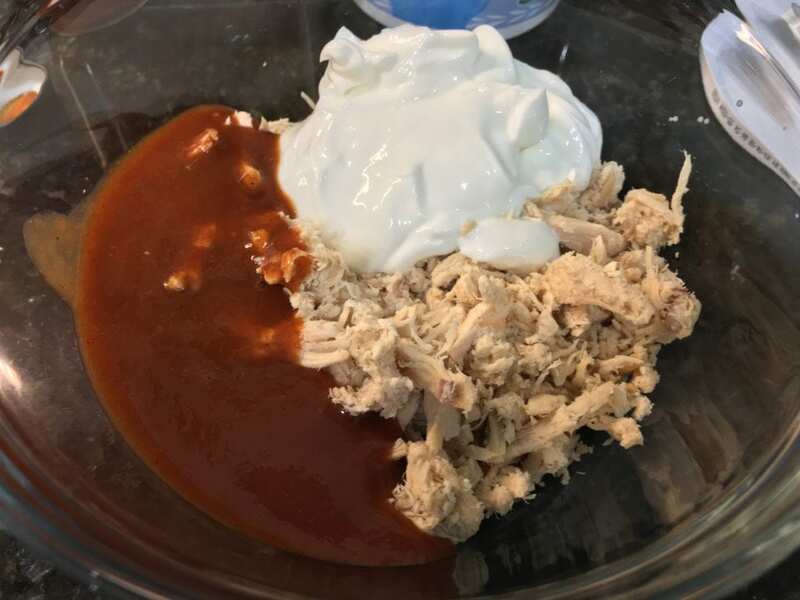 Stir like a crazy person until the shredded chicken and the Taco Bell Mild Sauce is well combined. Time to start assembling these Skinny Chicken Enchiladas! 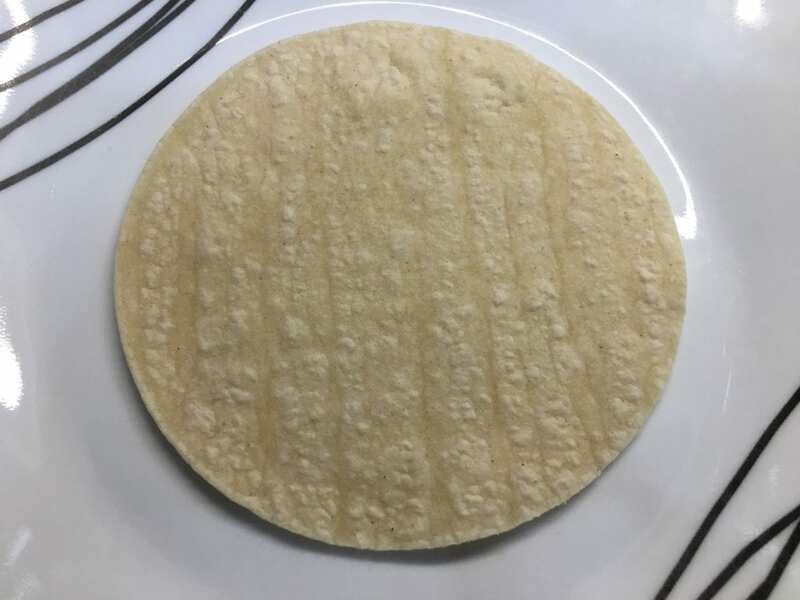 Grab a corn tortilla and lay it flat on a plate or cutting board. 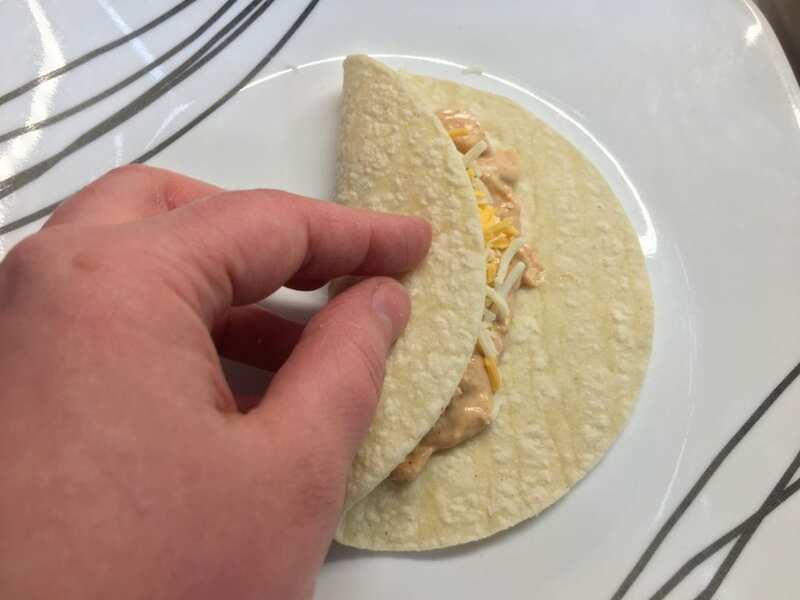 Use a tablespoon to spread about two tablespoons of the chicken mixture onto the center of the corn tortilla. 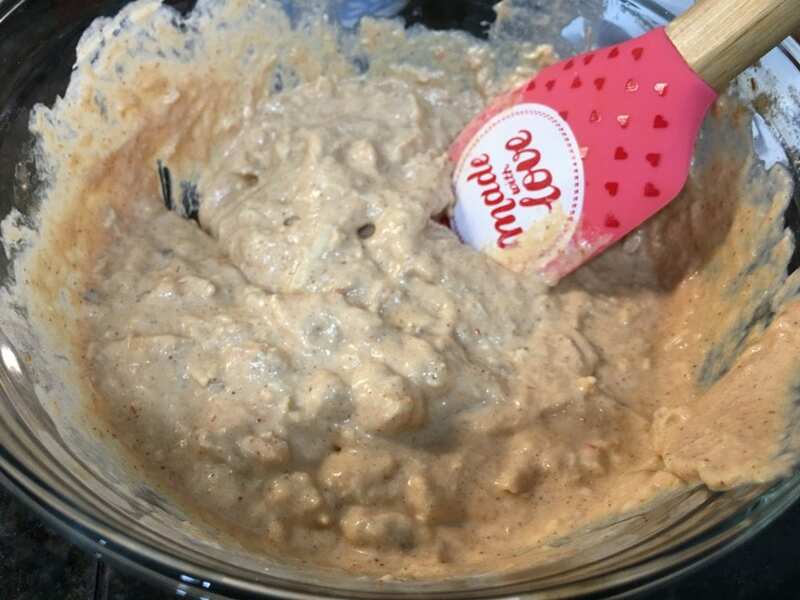 Now top the chicken mixture with a pinch of cheese (I used shredded American and Colby cheese but any kind you like can be used). 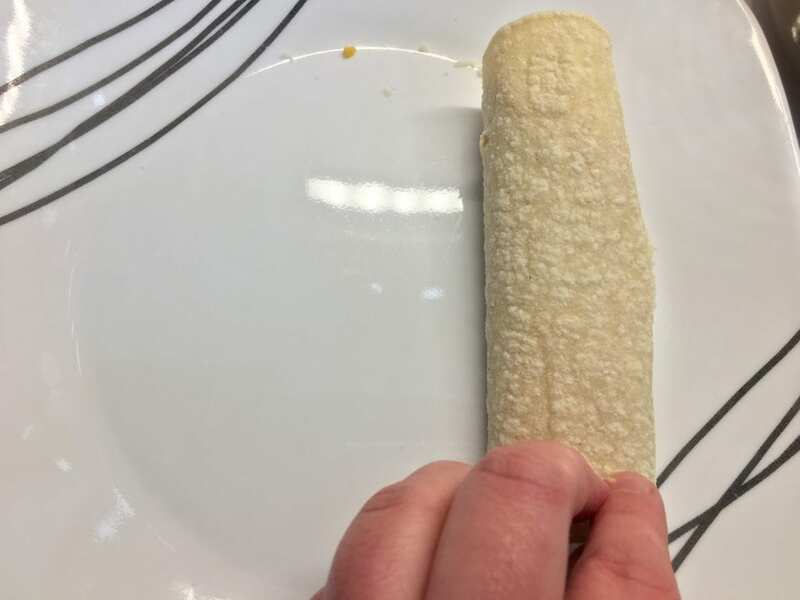 Begin rolling the corn tortilla into an enchilada, starting from the left and moving in toward the right. 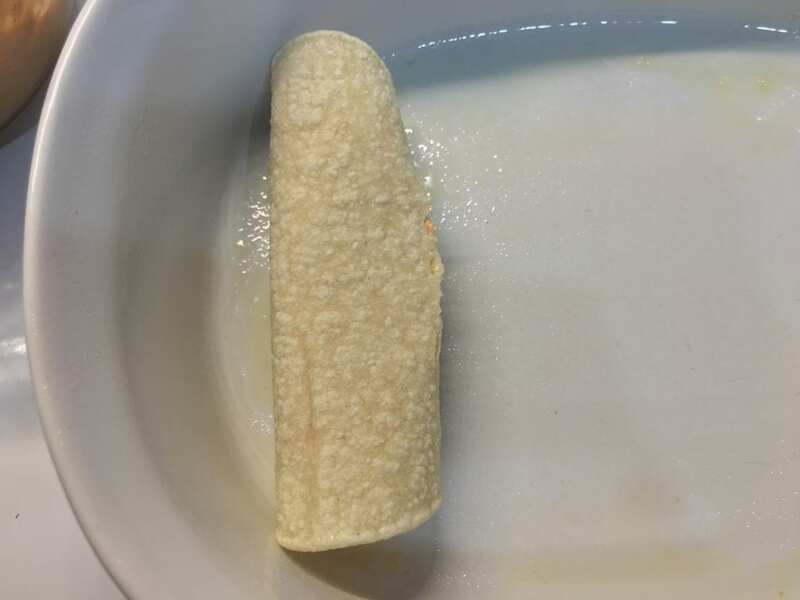 Don’t roll the enchilada too tight or the corn tortilla will split. 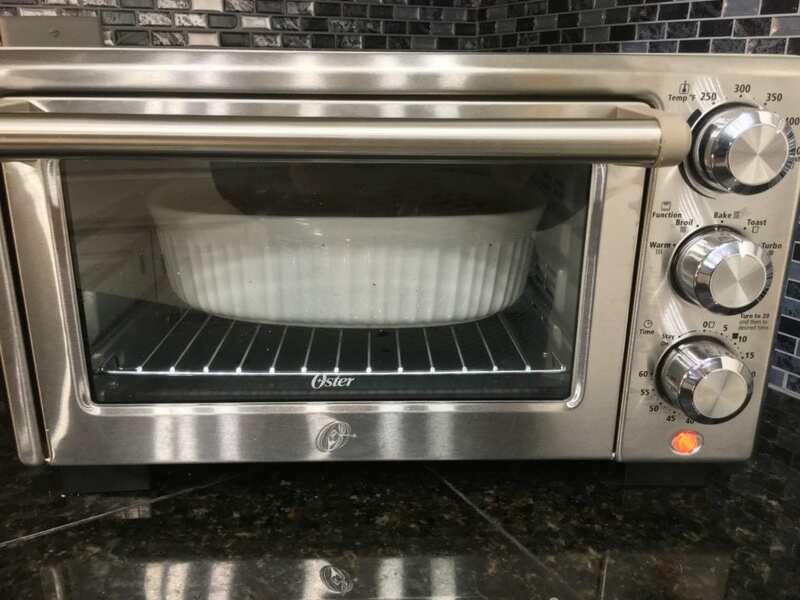 Place each enchilada in an 8×8 or 9×8 casserole dish that has been sprayed with nonstick cooking spray. 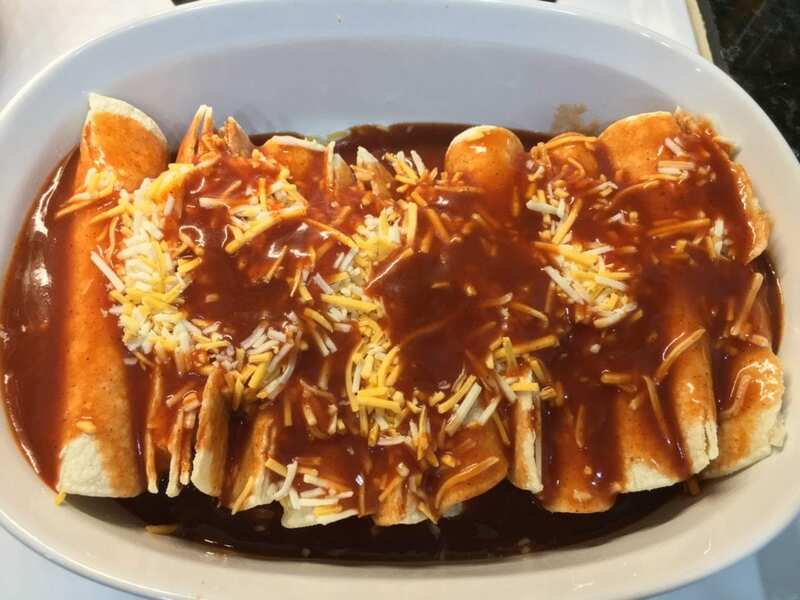 Continue the process of making each enchilada and placing it into the casserole dish until you have twelve Skinny Chicken Enchiladas squeezed into the dish. 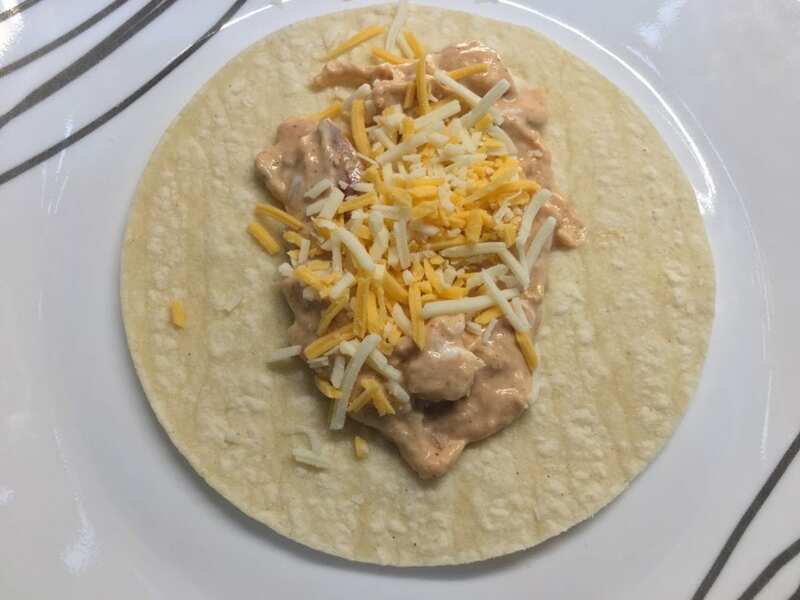 Top the Skinny Chicken Enchiladas with 1/2 cup of shredded cheese (again, you can use any kind you would like, I used American and Colby blend). 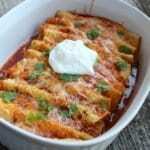 Now top these Skinny Chicken Enchiladas with ten ounces (or one regular sized can) of mild red enchilada sauce. Place these Skinny Chicken Enchiladas into the oven and bake at 350F for fifteen – twenty minutes or until the cheese is melted and the enchiladas are heated through. 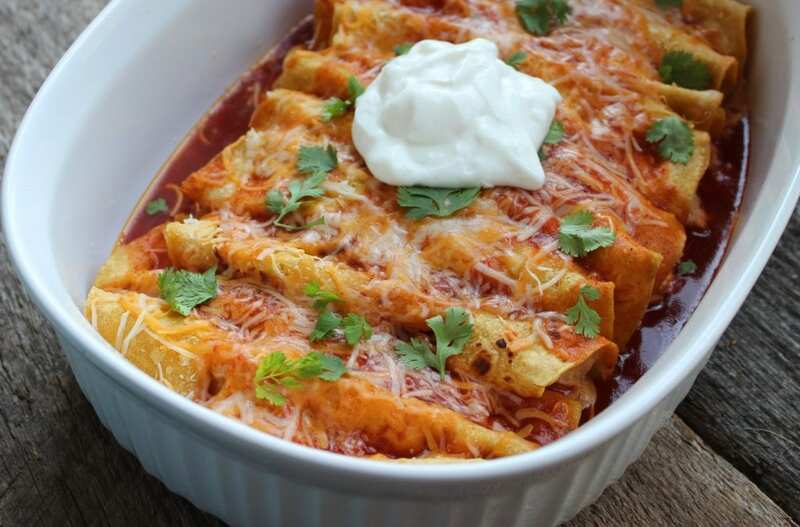 Once the Skinny Chicken Enchiladas are cooked, carefully remove them from the oven and serve! I like to serve mine with homemade salsa, cheesy rice, refried beans, and Easy Guacamole Dip. 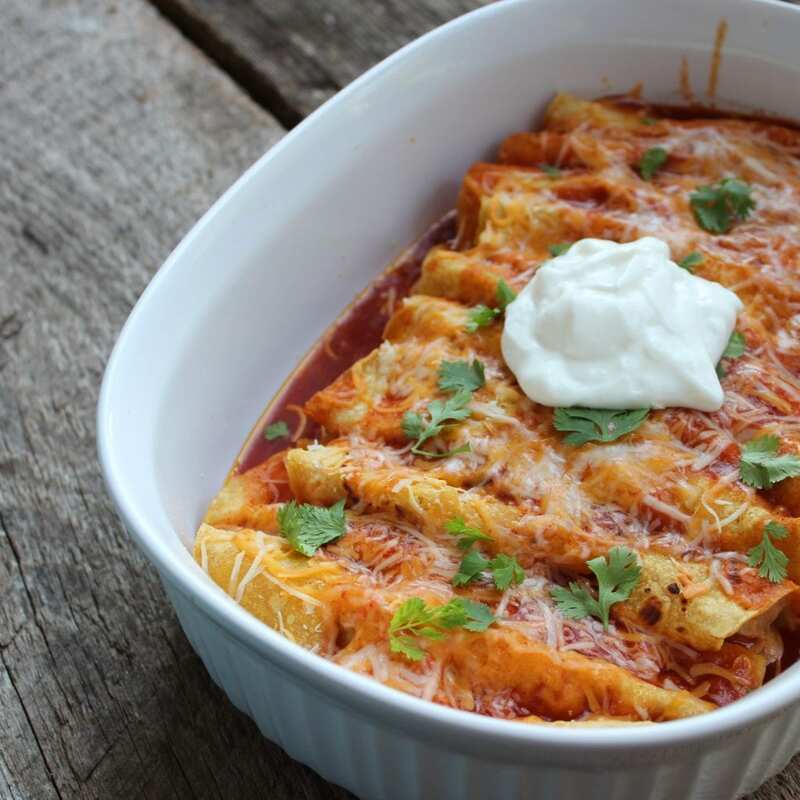 I hope you had as much fun today making these Skinny Chicken Enchiladas as I did! 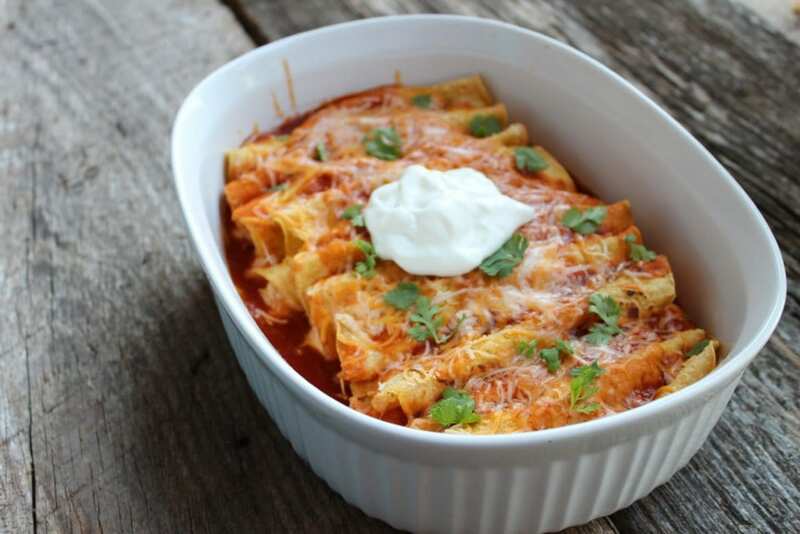 A fast and easy healthy, chicken enchilada recipe the entire family will enjoy. 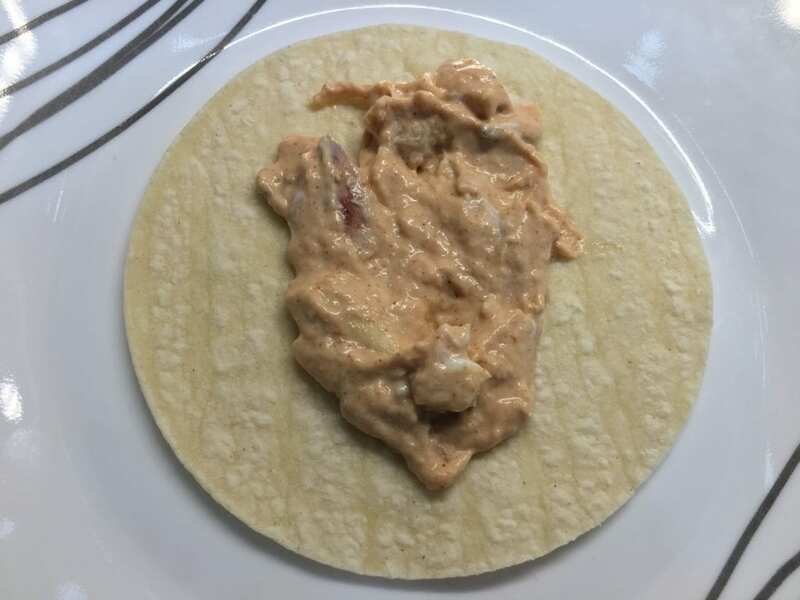 Lay a tortilla flat and spoon 2 tablespoons of the chicken mixture on the tortilla shell and 1tbsp of cheese. 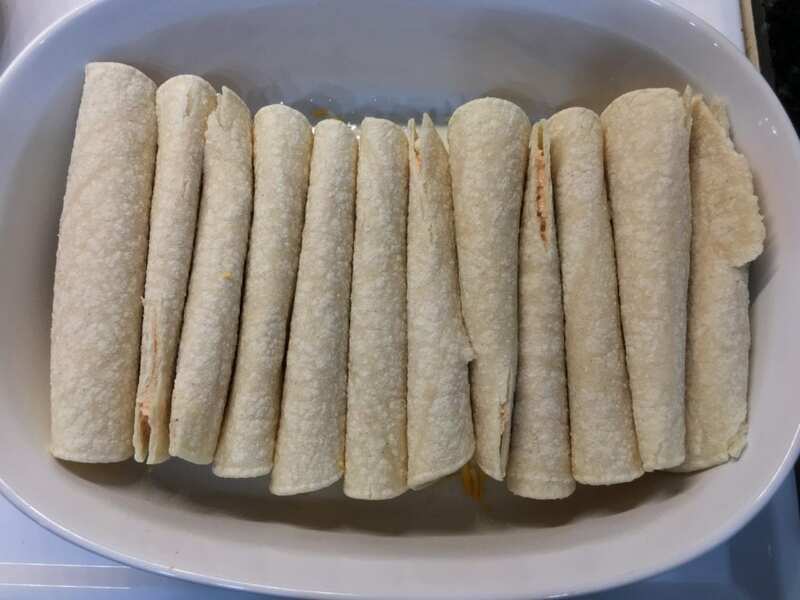 Roll the enchilada from left to right (not too tight) and place in a 9x8 casserole dish that has been sprayed with nonstick cooking spray. 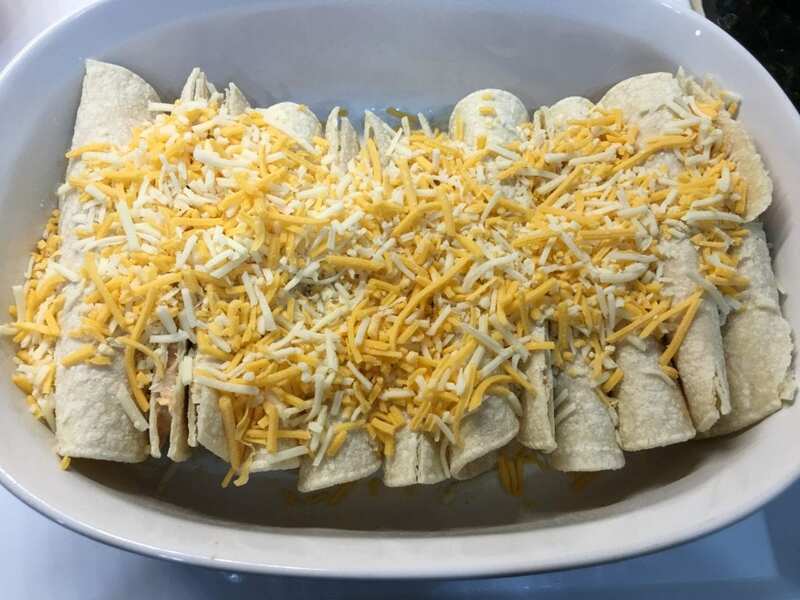 Place all enchiladas in a row in the dish and top with the remaining shredded cheese. Pour the enchilada sauce over the enchiladas and bake at 350F for 15-20 minutes or until the cheese is melted and the enchiladas are heated through. 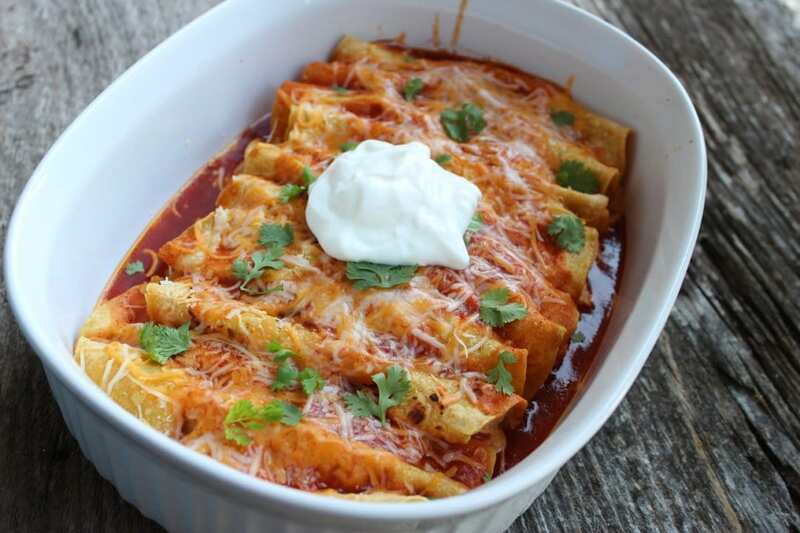 Use 1/2 cup fat free shredded cheddar cheese and 1/2 cup of red enchilada sauce to make these Skinny Chicken Enchiladas Weight Watcher Friendly. With the modifications, this recipe comes to 2 Freestyle Smart Points for one enchilada.